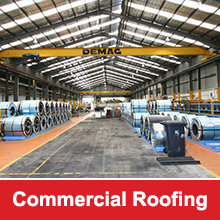 A commercial roof is far more than an attractive top to your businesses building. While many people believe that the most important responsibility of a roof is to keep out the elements, a roof actually provides far more benefits to the entire building. In order to avoid potential disaster in the future, it is important to ensure that your commercial roof has the following critical elements. Many commercial buildings have a flat roof, which can result in standing water. Over a long period of time, standing water can result in deterioration of the roof and ultimately lead to leaks. Furthermore, excessive amounts of standing water on a roof can result in a significant amount of additional weight that could cause the roof deck to weaken. A drip edge is often positioned near the end of the roof to ensure water is able to run off the building and drip away from the underlying building. These strips of metal are typically installed around the roof edge where the cover of the roof intersects with the wall. Flashing is also usually installed around any objects on the roof, including equipment, joints, and vent pipes in order to deflect water away from those areas. Gaps in the flashing can result in an increased risk of a failure of the roof cover during high winds as well as lead to possible leaks in the roof. Also sometimes referred to as the sheathing, these panels cover the rafters of the building and provide a basis for applying the roofing materials. A poor quality decking can lead to problems with properly installing roofing materials and could lead to penetration. As the primary structure of your roof, the roof truss is one of the most important elements in any roof. If the roof truss is not constructed of quality materials or is installed improperly, it could leave the rest of the building susceptible. Traditionally comprised of heavy felt paper or tar paper, underlayment is now available in synthetic materials. Placed on top of the decking of the roof before the actual roofing materials are installed, the underlayment provides an extra level of protection to the entire building from moisture. These beams run from the top of the building’s roof to the bottom and form part of the roof truss. Any weaknesses in the rafters can put the rest of the building at risk. Therefore, it is essential to ensure that only the most durable materials are used in the rafters and that they are installed in a completely secure manner. Ensuring that the roof on your commercial building has all of the necessary elements to support the rest of your building is essential for protecting the longevity of your building. 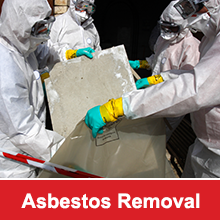 At the same time, it is also important for ensuring that the people who work in and visit your building are safe from possible risks.